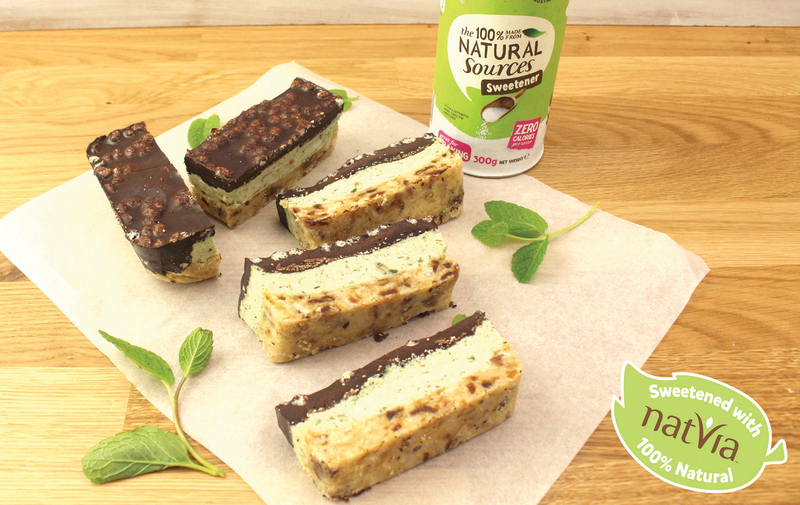 Up your mint slice game and create these beautifully delicious layered Vegan Mint Slices! Using fresh mint, this refined sugar-free treat is super easy to slice into dessert finger food making it great for entertaining! Soak the cashews and the dates separately in 1 cup of boiling water for at least 6 hours, or overnight in the refrigerator. Drain and blend the dates until smooth and stir with the almond meal and coconut oil until combined. The mix should hold together when pressed between two fingers, if not add 1 tbs cold water and stir. 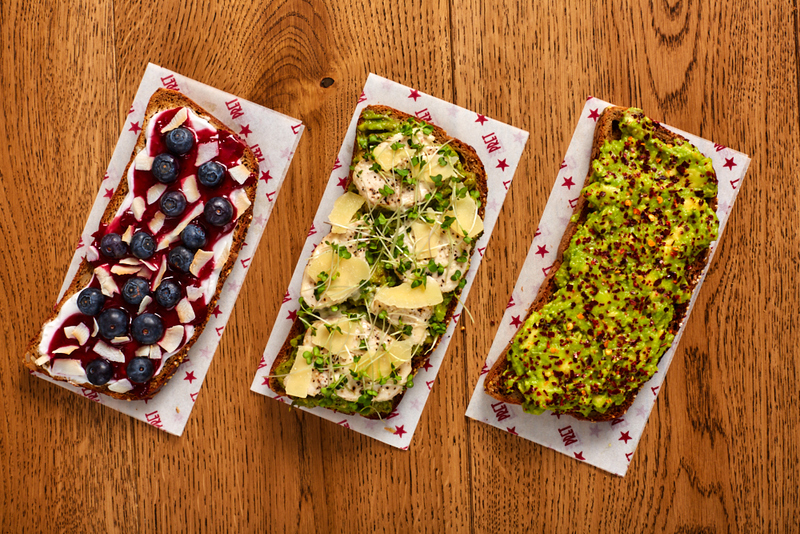 Spoon into a greased and baking paper lined tray (30cmx 15cm) and firmly press down with a spatula. Place in the refrigerator. Drain the cashews and blend together with the coconut oil, mint leaves, Nativa and coconut cream. Spoon over the top of the base and smooth with a spatula. Place in the freezer for at least 1 hour. Melt the coconut oil over a saucepan with heated water and add the cacao powder, stir until smooth. Add the chia seeds and let sit for a few minutes as it cools, stirring often. Remove to the fridge 1-2 hours before serving. Sprinkle with puffed rice and then pour over the chocolate. Freeze for 3-4 hours. Remove to the fridge 1 hour before serving.